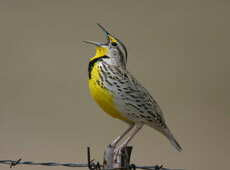 Some people live an entire lifetime and never get to hear the enchanting meadowlark sing. Our tag line, "Giving Voice to Leadership" represents tapping into the voices of leadership that resides in all employees, at every level of the organization. Regardless of what job level we are in an organization, we each possess a 'leadership voice' that wants to be heard. Each of us is motivated to know that our contribution counts. We want to be tapped for our ideas and to be heard. When we are heard, it hits a sweet spot, like that of a meadowlark singing… and we become fully engaged. We believe the job of leaders is to tap the leadership potential that resides in all employees, at every level of the organization; yes, unleash its energy and give voice to it. Could you imagine what could be accomplished in businesses today if all employees were giving voice to their leadership?